Prairie Grass - 2012 I.P.F. Print of the year. A New Day - 2016 I.P.F. Print of the year. First Light - 2017 I.P.F. Print of the year. ​Keith Burnett was raised on the front range of the Rocky Mountains and spent his youth dazzled by the sensational Colorado landscape. Many of Keith’s early memories involve camping, fishing and observing the natural habitat of turning aspen trees, the rolling streams and the chill of a heavy mountain snow. This backdrop provided him with a fascination of the outdoors and the elements it presents. Keith remembers his first influences well. In his youth, wildlife photographer Marty Stauffer and landscape painter Bob Ross ruled the scene for many aspiring artists. His family set the backdrop for what would become his passion. 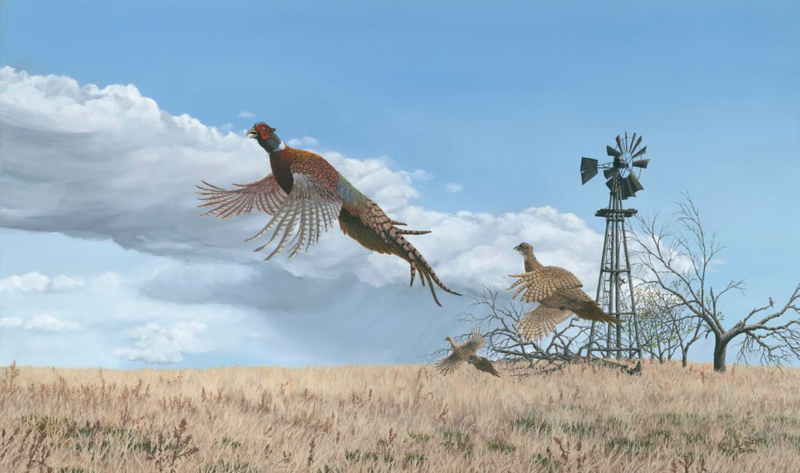 Annual trips to Kansas to hunt pheasants with his dad and granddad were what he calls “his perfect paradise.” Through these experiences, Keith took to the canvas, and it wasn’t long before his art caught attention. Some of Keith’s career accomplishments include: Artist of the year, Iowa Pheasants Forever (2012, 2015 and 2016); and a feature in Whitetails Unlimited national banquet package (2016). His art has been on the auction block for the benefit of hundreds of fundraising events. He is even the subject of a song by Nashville recording artist Dustin Bogue, a “Cowboy Born a Hundred Years Too Late,” (dustinboguemusic.com). 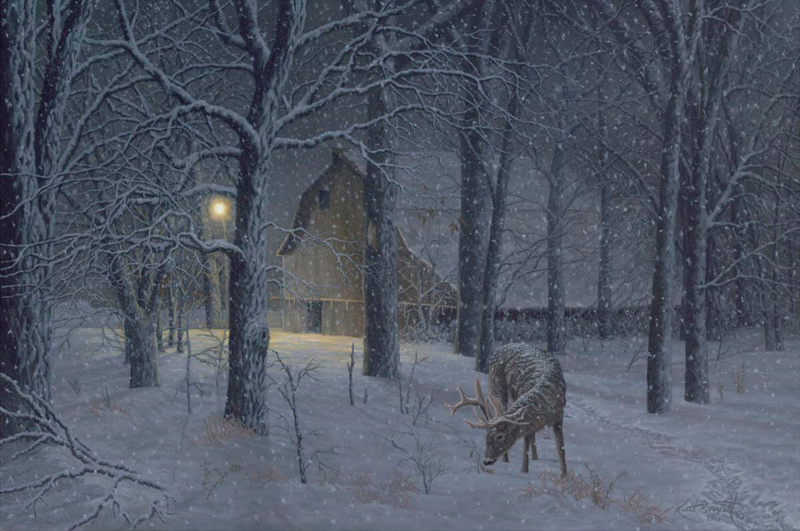 Keith's artwork is strongly influenced by his experiences in the west and Midwest. His early work focused on capturing the images he knew; early mornings in elk camp, sunsets on the Kansas hills, the draws and groves of rural Iowa. He has been described as a gypsy, a mountain man and a cowboy at heart. Keith has always longed for a simpler time, some open space, a campfire and a canvas.